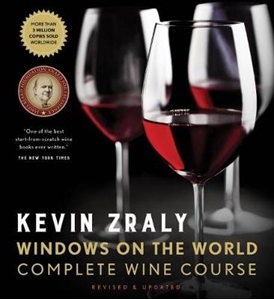 Kevin Zraly, America's ultimate wine educator, demystifies every aspect of choosing, tasting, and enjoying wine. From the renowned reds of Bordeaux and California to the trail-blazing whites of Washington State and New Zealand, this essential volume features maps of each region, lush photographs, a wealth of infographics, best value bottles for each country, hundreds of labels to help you find the right wines, and guided tastings. It also includes the latest vintages to savor, comprehensive notes on food pairings, and answers to frequently asked questions. This revised and expanded edition features new classes on South America, Australia, and New Zealand, sparkling wine, and fortified wine as well as information on cutting-edge trends (ros , Prosecco) and emerging wine regions, including Sicily and China. The Windows on the World Complete Wine Course gives you all the tools you need to discover and enjoy the best wines for you.